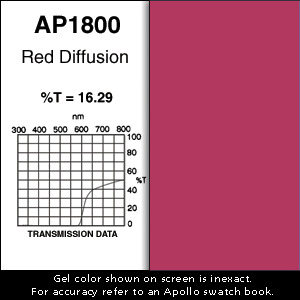 All diffusions decrease light intensity. Possible Uses / Suggestions: Diffused red primary for CYC washes. Softens fixture "scallops".